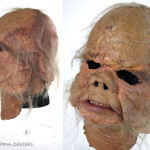 Not just a replica, but a conservation of screen used Star Wars Cantina Band prop mask and hands, bring back to life one of the Modal Nodes! We’re always honored to help preserve original Star Wars props. 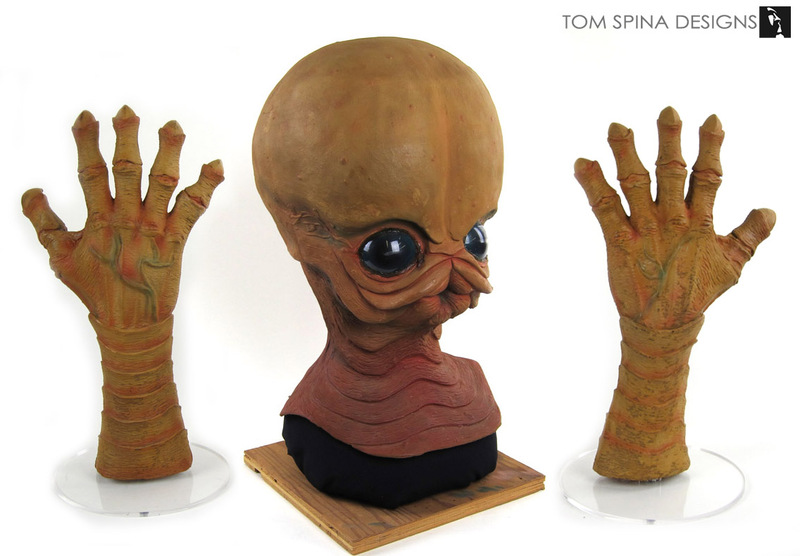 This screen used Star Wars Cantina Band prop mask and hands were sent to us for conservation work. 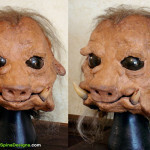 We performed only very minor repairs, and focused on a conservation mount that would support the latex prop over time. The original latex alien “Bith” mask and hands were both used in Star Wars, A New Hope, 1977 as one of the “Modal Nodes” band members in the infamous cantina scene. 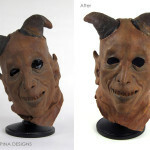 Both the hands and mask were in very good condition when the came to our studio needing only subtle repairs. We began with the rubber monster gloves created as the Bith alien’s hands. We made some small structural supports internally via fabric patches and then carefully blended any repairs for a near invisible repair. 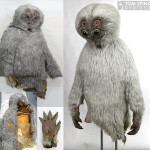 We also archivally mounted the hands to help with long term preservation. 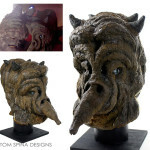 The head arrived with the wood and styrofoam head production-used stand which we incorporated into his final stand but adding archiving filling and a custom shaped support that runs under the bib of the screen used cantina mask, supporting the fragile latex over time. 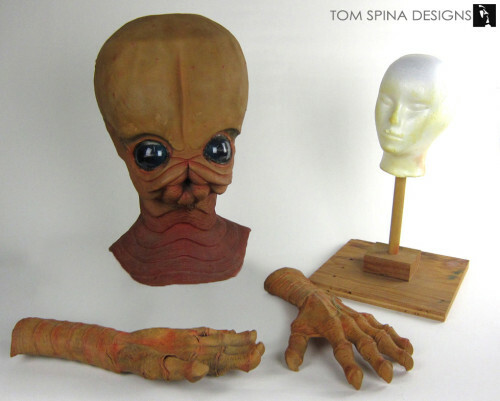 Whether it’s a major Hollywood blockbuster like Star Wars, or a cult classic or smaller film, we’re the trusted source to help collectors and museums maintain these foam latex props… the more unusual pieces of Hollywood history!